The train to Nowy Targ took about 3 hours and we disembarked into steady rain. Therefore an immediate retreat into a cafe was needed. 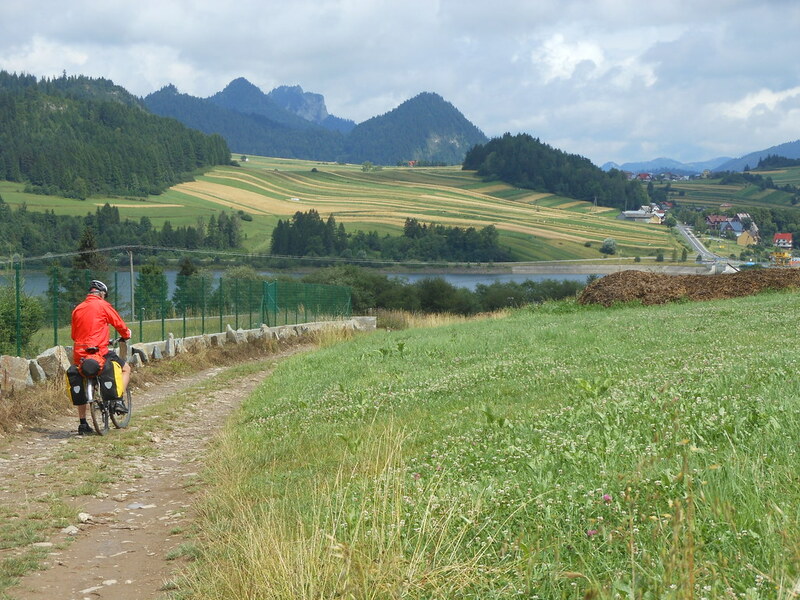 This is a domestic tourist region with walking and cycling tracks for summer recreation and skiing in winter. As we cycled out of town on a too busy road, we saw the Tour de Pologne convoy of cars and buses heading towards Krakow where the final stage will take place this afternoon. 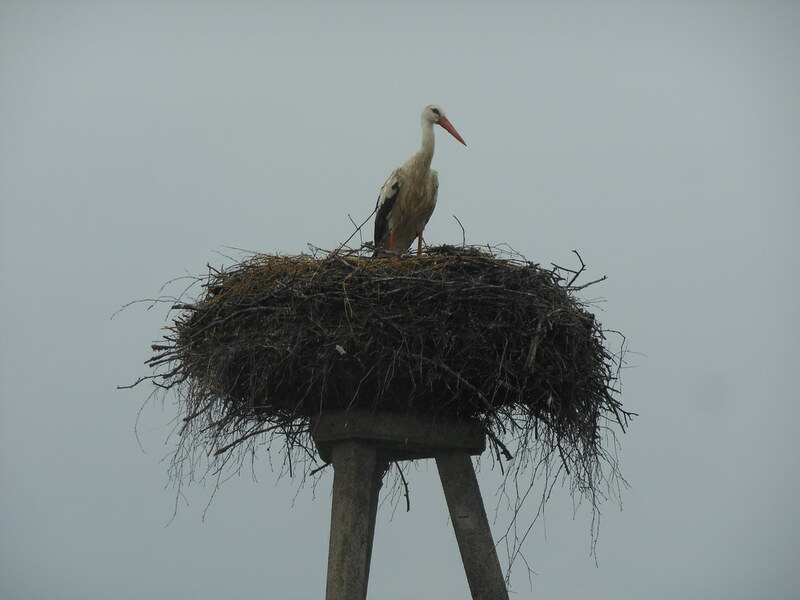 There were also dozens of storks feeding in the fields, although only one nest that we could see. Our route took us through charming mountain villages with houses built of river stones, colourful flowers and plenty of BVM shrines. We have seen scything in action twice today. I spotted a young man using a sickle last week in Czech Republic but thought his technique was poor. By lunchtime the rain had stopped and sun had reappeared. We took a dirt road named after St Rosalia, easily the worst track we have encountered so far, muddy, waterlogged and much of it unrideable. Don’t ask me to explain that! The countryside around here is beautiful, green and yellow fields, wild flowers, forests and mountain peaks. We are on the Dunajec River which forms the border between Poland and Slovakia, with the Pieniny National Park on the Polish side. The river is popular for rafting and canoeing, particularly through the steep sided gorge. We intend to ride through on the cycle path tomorrow morning. This entry was posted on 16 July 2012 at 5:20 pm and is filed under Poland. You can follow any responses to this entry through the RSS 2.0 feed. You can leave a response, or trackback from your own site.